At a recent Saturday morning men’s fellowship meeting, we were discussing ways to share our faith. The guys in attendance all agreed that when it comes to sharing the gospel with family, it’s one of the hardest things to do—not because we don’t want to, but because of the ambivalence and/or the unpleasant retorts we often face. For many Christians, some of the most difficult people to reach for Christ are our family members. Here are some things to keep in mind. When I was first saved over 30 years ago, I wanted everyone to know Jesus—especially my family. I had the gospel message down pat and shared whenever I could. However, my family said things like, “He’s going through a phase,” “He’s lost his mind,” or “I don’t want to hear that religious stuff.” I had been given the best gift anyone could receive, salvation, and I wanted those I loved to have this gift as well. Instead, I was turning them away and I didn’t understand why. I now look back at my early attempts to share the gospel and chuckle at myself. My zeal for God had been misdirected. My words were more about me: I wanted to get my family saved, I wanted the blessing of leading them to Christ, I needed to know where they would spend eternity. Given that fragile foundation, when my attempts fell short, I became discouraged. 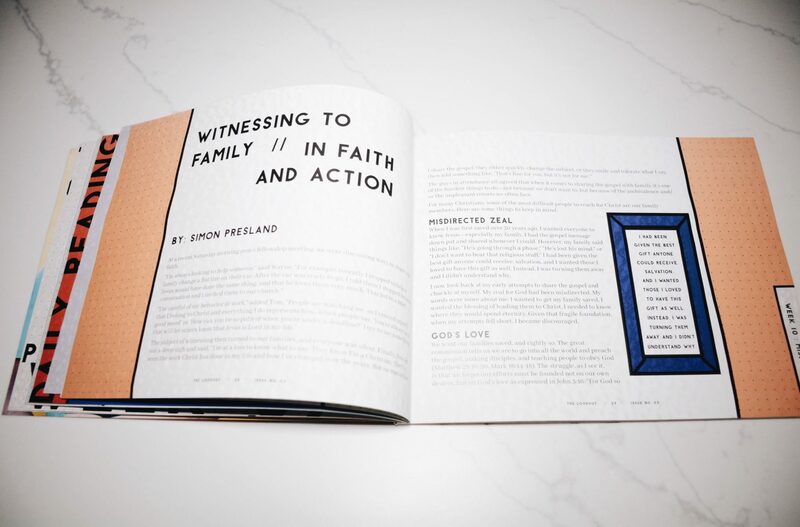 My early actions toward my family were focused on “getting them saved” instead of sharing—and demonstrating—God’s love. I neglected Scriptures such as John 16:8 that make it clear it is the Holy Spirit’s job to convict of sin, righteousness, and judgement. I failed to acknowledge that I am to “plant and water” but it is God who saves (1 Corinthians 3:6). Our families know us the best and we don’t want to be labeled as hypocrites. Some family members are critical of anyone “religious” and we don’t want to face their contempt. We are fearful that if our gospel conversation goes bad, there will be ongoing tension. While these are realistic issues, how can we overcome them? Prayer. It is important to pray specifically. We can express our thankfulness for each person, asking God to work in his timing, and to increase our patience and love as the Holy Spirit does his work in their lives. New Creations. Sometimes our shame or guilt over our former lives holds us back. Who knows our intimate details better than our families? When past memories bring condemnation, we must remind ourselves that we are not who we used to be; we are new creations in Christ (2 Corinthians 5:17). When sharing the gospel with family members, there are two common tactics used by most Christians: 1) Argue them into the kingdom, and 2) Share the gospel without saying a word. To avoid either becoming a pitfall, I suggest that a combination of the two is the best. Argue them into the kingdom. Paul told Timothy to, “Preach the word; be prepared in season and out of season” (2 Timothy 4:2). Peter exhorts believers, “Always be prepared to give an answer to everyone who asks you to give the reason for the hope that you have” (1 Peter 3:15). The common theme here is that we are to be ready with a defense, not an offense. Instead of arguing, we can prepare ourselves to share our faith by memorizing Scriptures that lead to salvation and be ready to share the gospel, with the Holy Spirit’s leading, in a way that is natural to us. Share the gospel without saying a word. “Preach the gospel, and when necessary, use words” is a saying attributed to St. Francis of Assisi. We can also incorporate that saying into our lives. We can display wall quotes and Scripture passages in our homes. Decorations such as doves and crosses can stand as silent witnesses. We might place a Bible or Christian books and magazines on a coffee table. A mat at the front door with a Scripture imprinted is a great witness. Consider adding a Scripture or encouraging thought to emails and other social media posts. Send out cards that depict your faith for any family occasion. And whenever you are at a family meal, always say grace, whether out loud or to yourself, depending on what is appropriate. The most critical part of witnessing without words, however, is making sure that your actions—and your life—line up with the gospel you are attempting to convey. Nothing will turn someone away from God faster than hypocrisy, and nothing will draw them more strongly to the truth than when you consistently live out the teaching of the Bible. Witnessing to family members is not easy. But when we temper our zeal, focus on God’s love, push past our insecurities, and have a plan in place, we can put Paul’s words into action: “Live wisely among those who are not believers, and make the most of every opportunity. Let your conversation be gracious and attractive so that you will have the right response for everyone” (Colossians 4:5,6, NLT).